Psygnosis has just released an arcade/strategy game for two players with the unlikely name of Captain Fizz Meets the Blaster-Trons. That's right, it's a game, not a science fiction serial from the '50s. 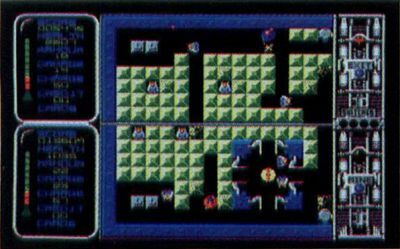 According to Psygnosis, if players have any intention of being successful in this quest, they must learn to play cooperatively. "The collaborative nature of the game is no mere surface glitter; you simply can't win without planning a strategy, watching your partner's back and even—when the chips are really down—sacrificing your own life so that your fellow player may go on to serve the noble cause. If you take the attitude that it's every man for himself, then the Blaster-Trons will finish you off in no time at all." Captain Fizz Meets the Blaster-Trons is priced at $29.95.